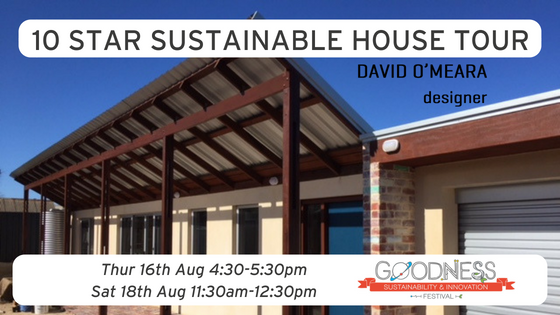 Visit a ten star energy rated house that requires no artificial heating or cooling, utilises many reclaimed and natural materials, harvests rainwater and considers indoor air quality through careful product choices. With rising energy costs this is a great example of a future proof design on a small lot perfect for starters or downsizers. Take a self-guided tour then stick around to ask any questions you may have from the passionate designer with over 20 years’ experience in passive solar and eco-friendly design.